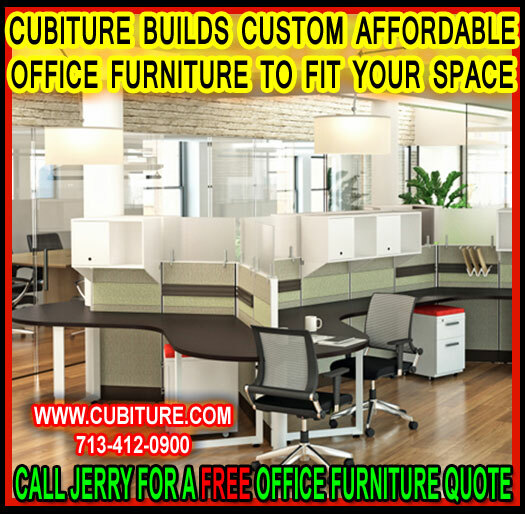 Come by the Cubiture showroom to find affordable office furniture. Jerry has cultivated relationships with over 400 manufacturers. Many of these manufacturers specialize in making desks, conference tables, office chairs, and reception centers for the American small business owner. Something is always on sale here at Cubiture–bringing the best products within reach of local family owned businesses and startups. Find products in any style ranging from traditional to transitional to ultra-contemporary. We run specials on a weekly basis, and delivery is always free regardless of your office location. Cubiture helps you conserve office space as you grow your business. The biggest barrier people face is the physical limitations of their floor plan. No matter how large a particular suite is, it can only hold so much furniture. Jerry can help you work within these limitations with advanced, complimentary space planning. As a storage and filing system expert, Jerry knows how to create office layouts that consolidate workflow into concentrated areas. This leaves room for growth in every department so companies can continue to hire new people as their sales begin to increase. This service has saved many Houston companies thousands of dollars by enabling them to “grow where they are planted,” so to speak, and avoid the cost of having to move every time their business starts to grow. At Cubiture, affordable office furniture is always ergonomic. Jerry devotes a significant portion of his free time to the study of ergonomics. Not a day goes by without him reading some new study on the relationship between health and wellness and worker productivity. As an expert in this field, Jerry makes it a point to provide his customers with superior seating options and desk systems. Every professional study has shown that workers perform better when they are comfortable. Furniture systems such as sit-stand desks and 8-hour chairs help employees stay positive and focused at even during the busiest times of the year. Cubiture can custom build affordable furniture that is often less expensive than mainline brands. Jerry had the foresight to invest in his own factory. If customers come to our showroom and don’t find exactly what they want on the showroom floor, Jerry can custom build tables, desks, and workstations in his own facility. With thousands of materials to choose from, customers can literally design their own workstations, executive suites, reception areas, and conference rooms at a price they can afford. Cubiture builds to fit your budget! Don’t be fooled by some of the cheap prices you see on paid advertising sites. It is impossible to gauge the quality of a table, chair, or desk by looking at a tiny picture on a mass marketing website. Nothing beats the experience of actually sitting in a desk that could be yours and trying it on for size. With hundreds of domestic and international sources, and with his own factory, Jerry’s affordable office furniture not only will fit your budget but it will also be a fit for you. Call today.